If the debt ceiling weren't raised for a year, the Congressional Research Service estimates that one of these options would need to be implemented for the government to continue meeting its legal obligations. 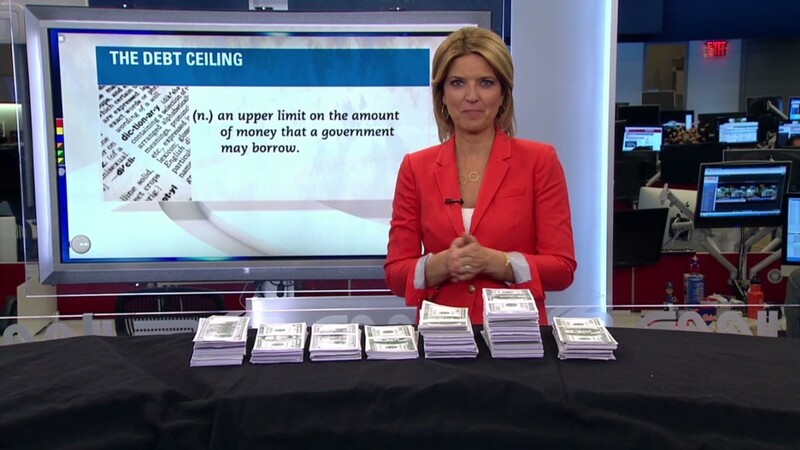 A recent CNN/ORC poll found that 38% of Americans think it would be a good idea not to raise the debt ceiling. Bills may be delayed but must be paid: Putting off payments to, say, federal contractors wouldn't save the government any money. In fact, it would cost taxpayers more money. The Treasury Department must pay those bills at some point, along with interest penalties for being late. Spending must be slashed or taxes hiked: The Congressional Research Service estimates that over the next 12 months, the government will spend an average of $30 billion more every month than it takes in. 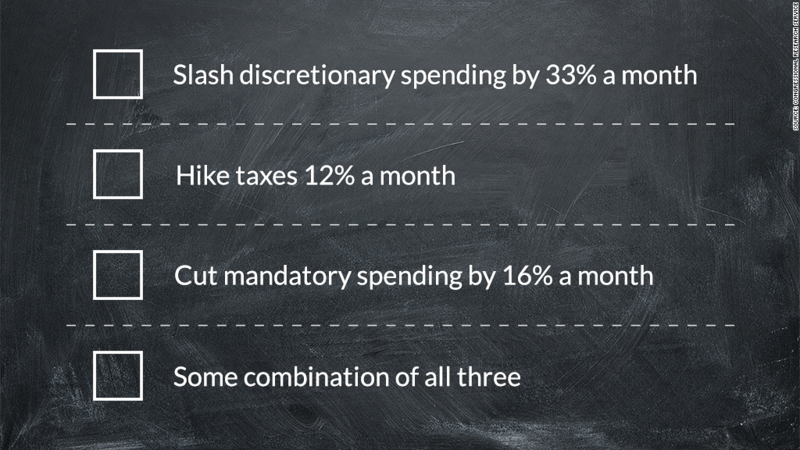 Slash discretionary spending (including defense) by 33% every month. Cut mandatory spending (such as spending on Social Security) by 16% every month. Raise taxes by 12% every month. The truth is the deficit from month to month can vary greatly. So in some periods the spending cuts or tax increases would have to be far more drastic. For example, pretend Congress doesn't raise the debt ceiling for all of November. What then? "The Treasury would have no choice but to eliminate its cash deficit, which will run as high as $130 billion in November," economist Mark Zandi told the Joint Economic Committee recently. "The economy would quickly fall into another severe recession." Recessions usually increase spending because safety net expenses, such as unemployment benefits, go up. But if the government can't borrow new money to compensate, lawmakers would have to cut further or hike taxes even more. That, in turn, can dampen future growth.